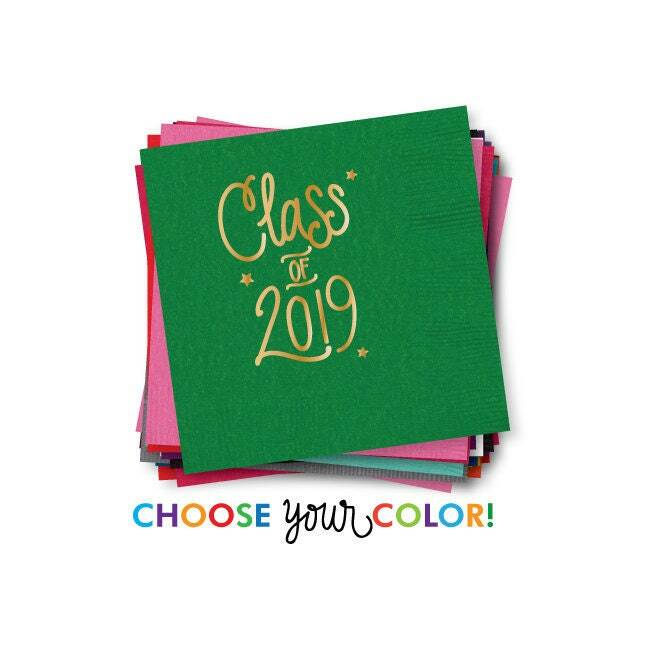 Graduation Napkins | Choose YOUR Color! 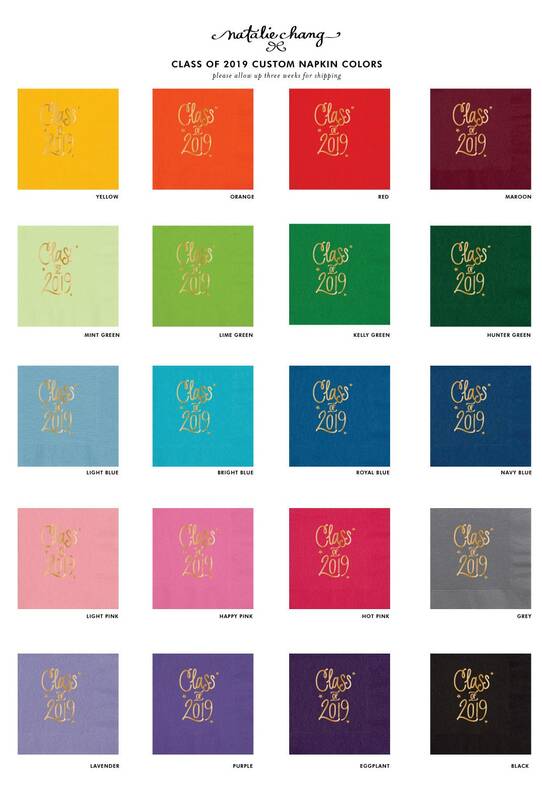 Choose your color of Napkins to match your party or school colors! Please allow three weeks for delivery to your doorstep! *if you need something faster - please check out our individual in-stock listings! 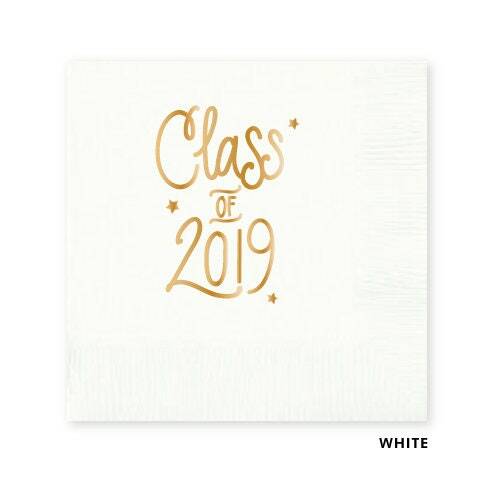 Love the napkins!! Great quality and perfect for the party. Love ordering from Natalie! The communication with her shoppe is excellent and my order is right every time! And who doesn't love that pink packaging?! 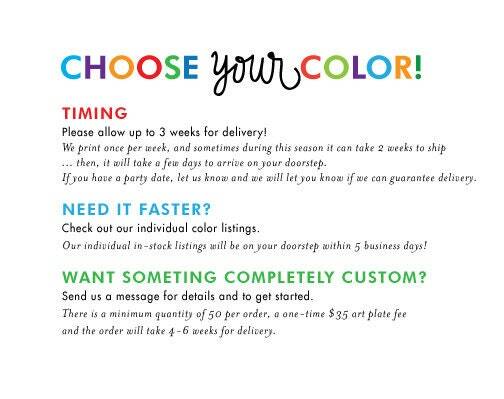 This shoppe is my go-to for that extra special touch for a party or event!